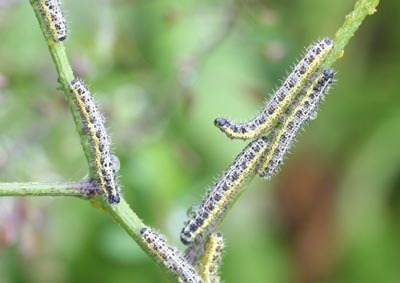 The larvae eat brassicas and crucifers, as the formal name suggests, but there has been a relatively recent adoption of Nasturtium as an alternative foodplant. This switch has coincided with a revival of the species in this area. 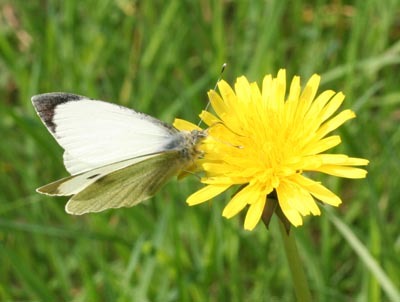 The adult is larger than the Small White, and has more distinct black marks on the edge of the wing. 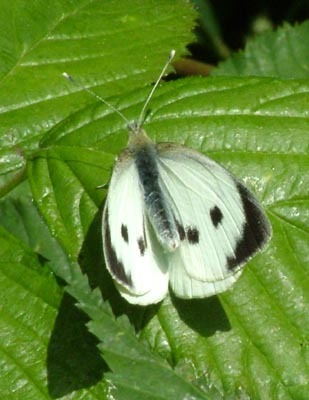 The female (right) also has strong twin spots on the upper side of the forewing, whereas the male (left) has none.